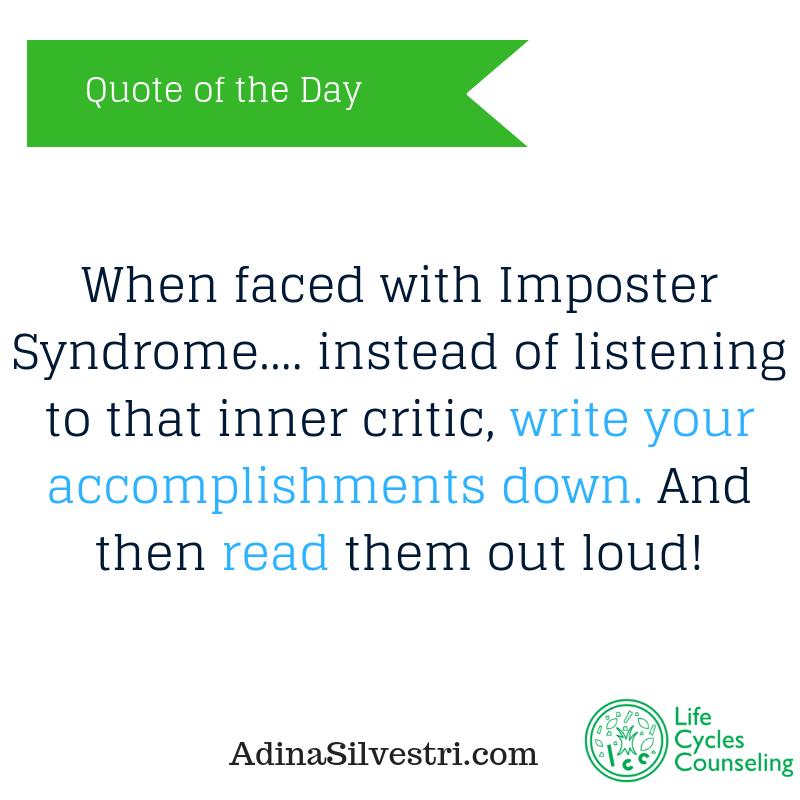 When faced with Imposter Syndrome…. instead of listening to that inner critic, write your accomplishments down. And then read them out loud!